Vancouver, BC |As the seasons transition from earthy roots to tender shoots, Toptable Group’s chefs are crafting new springtime menus inspired by the bounty of fresh and local ingredients. Whether it’s line caught from the sea or handpicked from local farms, a season of bright new flavours to savour at our tables is finally here. 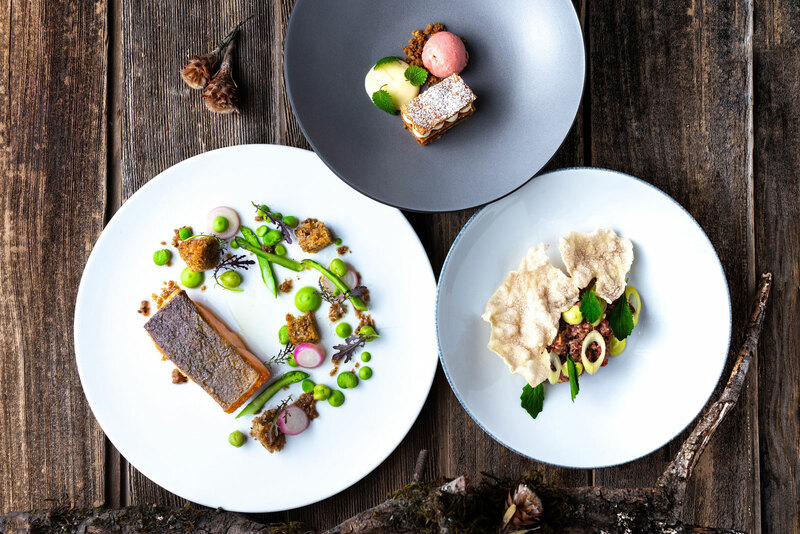 Dining in Whistler couldn’t be more timely with both Araxi Restaurant + Oyster Bar and Il Caminetto offering up their popular springtime prix fixe dinner menus. From April 22nd, enjoy a spectacular five-course menu prepared by Executive Chef James Walt. His stellar regional specialties, that celebrate nearby farms and waters, are ever-changing and at $37 per person, terrific value (Sundays through Thursdays). Over at Il Caminetto, Chef James Walt’s re-imagined Italian dining room, a four-course prix fixe menu heralds the tradition of gathering family and friends around the table – $39 per person, Sundays through Thursdays. Begin the evening with a handcrafted cocktail or top it all off with a night cap at Bar Oso. All three unique dining experiences are truly worthy of the pretty drive up the Sea to Sky! In the city, take advantage of West Restaurant + Bar’s springtime prix fixe promotion that showcases the best of the season – for lunch and dinner. Try Executive Chef Bobby Milheron’s two-course midday offerings that make for a perfect fit for business or pleasure for $29 per person, Mondays through Fridays. For a date night, his three-course menus at $39 per person are exquisitely presented, along with a friendly vibe in the heart of South Granville (Sundays through Thursdays). Take advantage of this offer Friday and Saturday evenings before 6 pm for a pre-theatre dinner option. CinCin Ristorante + Bar welcomes spring with many fresh additions to its Mediterranean-inspired menu. Try Chef de Cuisine Andrea Alridge’s take on wood-fired ramps, asparagus, stinging nettles and more to highlight her risottos, pastas, and main course offerings. Like so many of his guests, Executive Chef Frank Pabst of Blue Water Cafe + Raw Bar, loves springtime for the return of halibut season. Catch his daily specials as he showcases a harvest from the sea, including live Alaskan King Crab. Or step across the street to Elisa in Yaletown to savour Executive Chef Andrew Richardson’s wood-fired steakhouse that embraces seasonality in its soul. Always an advocate of working with small farms and purveyors, Elisa’s menu blossoms with nightly specials that sing of spring alongside his newly-popular favourites, from the charcuterie bar to grilled steaks from the wood-fired Infierno Grillworks. Please join us to raise a glass together and celebrate the arrival of springtime tastes and flavours!